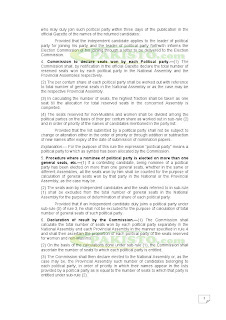 The Election Commission of Pakistan (ECP) revealed the results of seats reserved for female and minority members in the national and provincial legislatures on Tuesday. 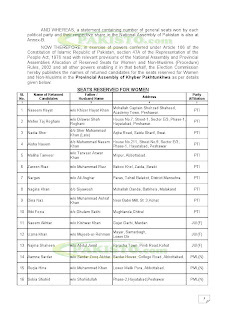 From the Pakistan Tehreek-e-Insaf (PTI), 15 candidates were elected on female and minority reserved seats from Khyber-Pakhtunkhwa (K-P) in both the national and provincial assemblies. K-P has a total of 33 reserved seats for females and minorities, of which 25 are in the provincial assembly while eight are in the National Assembly (NA). 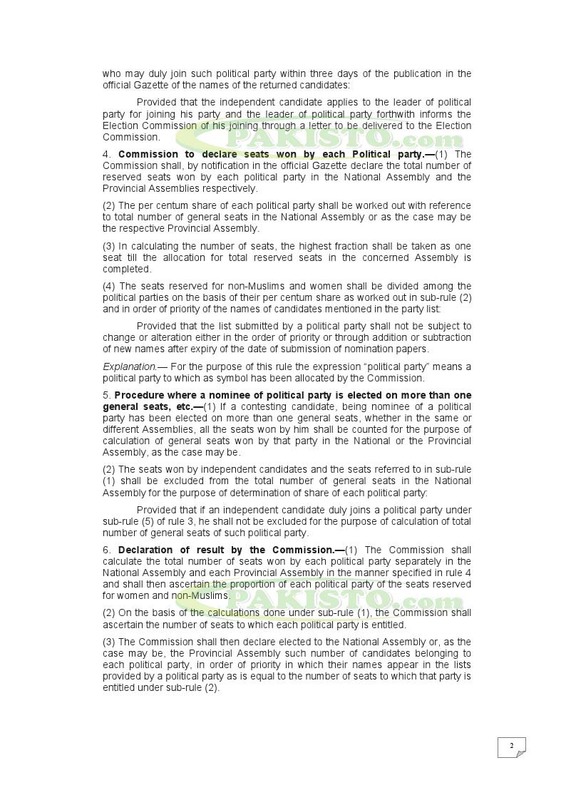 As per the ECP’s notification, 10 females and a minority candidate of the PTI were elected to the K-P assembly and four females were elected to the federal legislature. 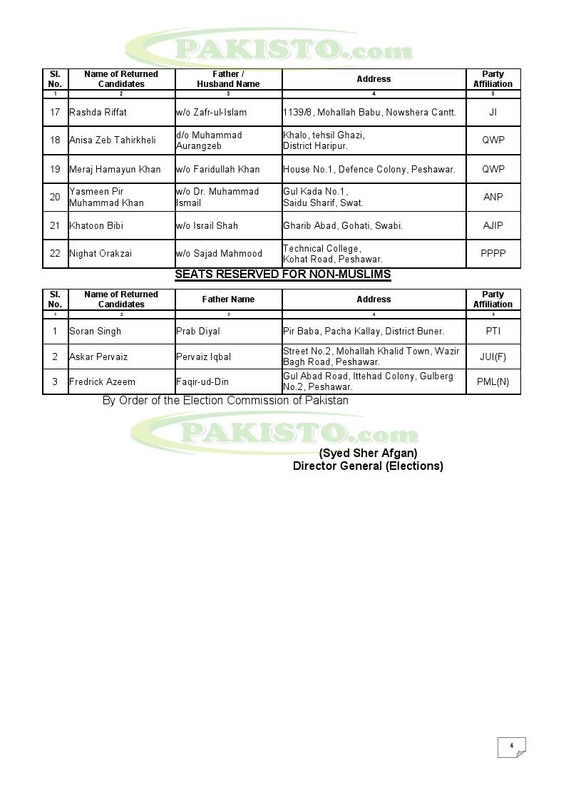 Naseema Hayat, Mehr Taj Roghani, Nadia Sher, Aisha Naeem, Maliha Tanveer, Zareen Riaz, Nargas, Nagina Khan, Dina Naz and Bibi Fozia were PTI candidates elected for the provincial assembly, while PTI candidate Soran Singh was elected on a seat reserved for minorities. 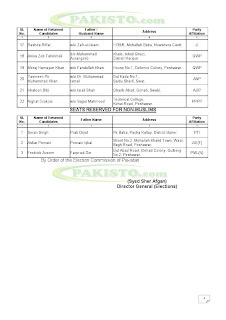 In the central legislature, Nafeesa Inayatullah Khan Khattak, Musarrat Ahmedzeb, Sajida Begum and Aisha Gulalai were elected as MNAs on PTI tickets. Meanwhile, six Jamiat Ulema-e-Islam-Fazl (JUI-F) candidates were elected on reserved seats – four in the provincial assembly and two in the national assembly. The JUI-F’s Naeema Akhtar, Uzma Khan and Najma Shaheen were elected on reserved seats for women in the provincial assembly while Askar Pervez was elected an MPA on a minority seat. Shahida Akhtar Ali and Naeema Akhtar were elected for the NA on JUI-F tickets. The Pakistan Muslim League-Nawaz’s Amna Sardar, Ruqia Hina and Sobia Shahid were elected on seats reserved for females in the K-P assembly while Fredrick Azeem was elected on a minority seat. 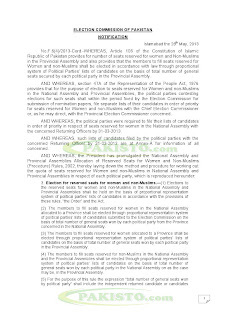 In the NA, Begum Tahira Bukhari was elected as an MNA on a seat reserved for women. The Jamaat-e-Islami clinched two seats, one each in the national and provincial assemblies. Aisha was elected to the NA and Rashada Riffat was elected to the K-P assembly. The Qaumi Watan Party’s Anisa Zeb Tahirkhali and Meraj Humayun Khan were also elected to the provincial assembly on reserved seats. Additionally, the Awami National Party’s Yasmeen Pir Mohammad Khan, Awami Jamhoori Itehad Pakistan’s Khatoon Bibi and Pakistan Peoples Party’s Nighat Orakzai also managed to secure seats in the provincial assembly. 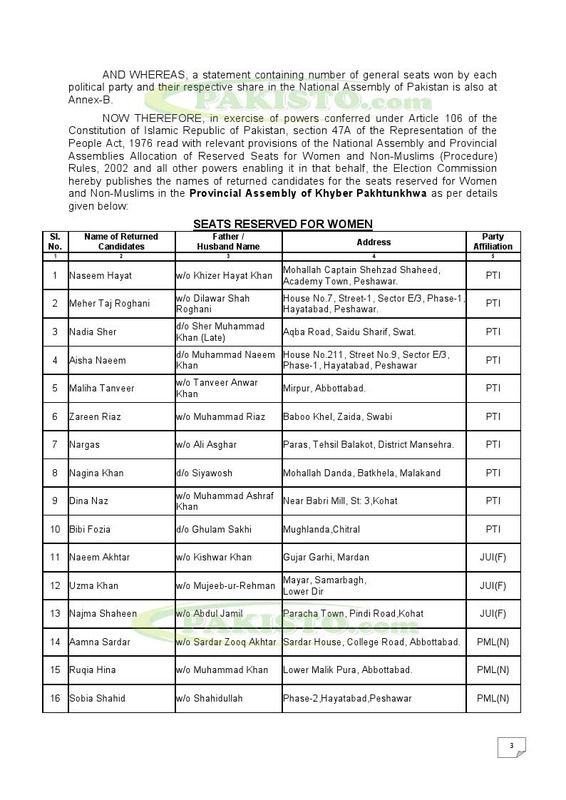 There are about 22 seats reserved for women in the K-P assembly. 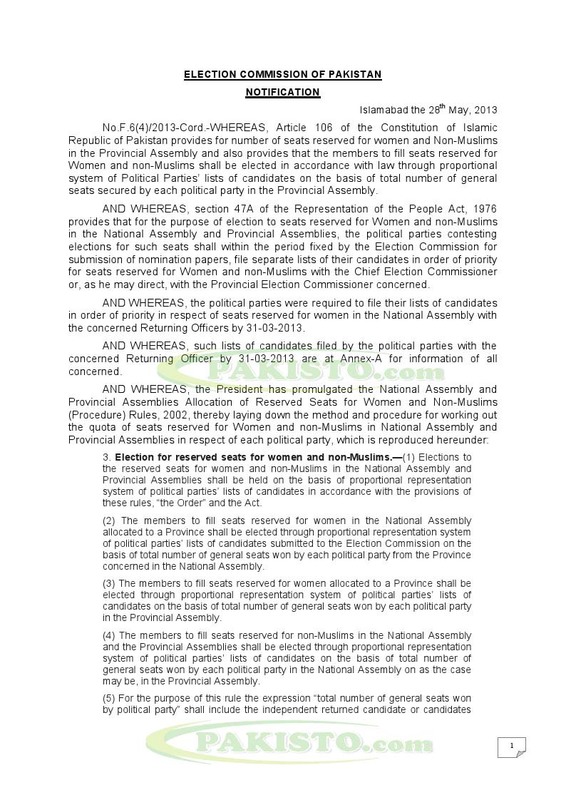 Three and eight seats are reserved for minorities and women from the province in the national assembly.